Your cat likely loves to be entertained, meaning that you have a handful of interactive toys and solo toys for your cat to enjoy. 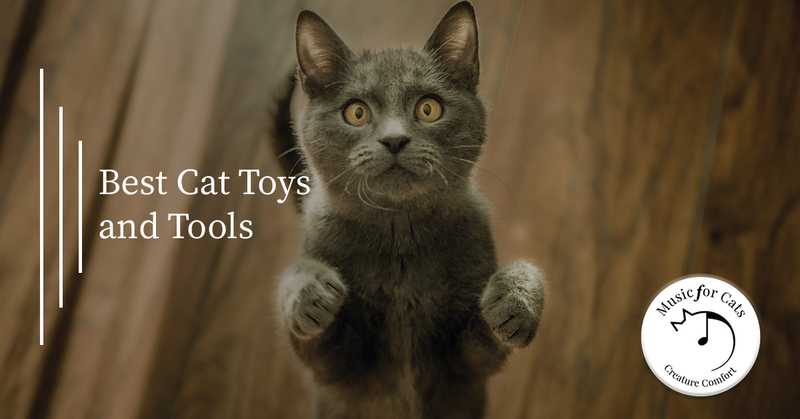 However, if you really want to spoil your cat, we have a list of toys and tools you should keep on hand to keep your cat purring all day long. Almost all cats love playing with something that is dangling off the end of the string. These toys are constantly moving, and you can lift the toy just out of your cat’s reach to make it more of a challenge. With your choice of string, feathers, or a toy at the end, you can choose whatever your cat responds best to. This is a great choice for when you want to play with your cat but not worry about your fingers getting clawed on accident. It’s important for your cat to be able to exercise their claws when they feel the need. Clawing up things around the home is your cat’s way of stretching, or of scratching an itch. By having a scratching post on hand, you can keep your kitty entertained and their claws controlled. You will also keep your furniture safe from destruction! Many scratching posts have sanding surfaces, meaning that your cat’s claws will dull as they scratch away. Cat trees, regardless of how tall, will attract your cat almost immediately. They can help your cat exercise their need to jump around, as well as satisfy their desire to be situated above all the action. If you have other pets in your home, a cat tree might be the best investment you make. Your cat can climb up and escape from your other pets, getting the peace they deserve! While not all cats react to catnip, many do! It’s harmless, and it starts as a very playful and energetic feeling. After some time, catnip will usually mellow out your cat and let them relax. Catnip toys can be entertaining when you aren’t around to engage in interactive play. Your cat will appreciate their playtime and be drawn automatically to the toy instead of more destructive behavior in the home. Little is as fun as a cat with a laser pointer! Your cat will chase around the little red dot for minutes on end and amuse you the entire time. Plus, it’s a great workout for your cat, as they will go running all over the home. Whether you want to entertain your cat while you are gone or simply give them something soothing to listen to, Music for Cats is the perfect choice. Our team has spent hours researching cats and the sounds that they respond to. Next, we composed species-specific music just for their ears. Give your cat soothing music to help them rest, or to keep them entertained while you are away. Shop our CDs today and order one of your own! We are sure that your cat will love it. © 2017 Music for Cats - All rights reserved.